NATO naval ships held a joint exercise in the Black Sea as part of the alliance’s collective security program in the region. 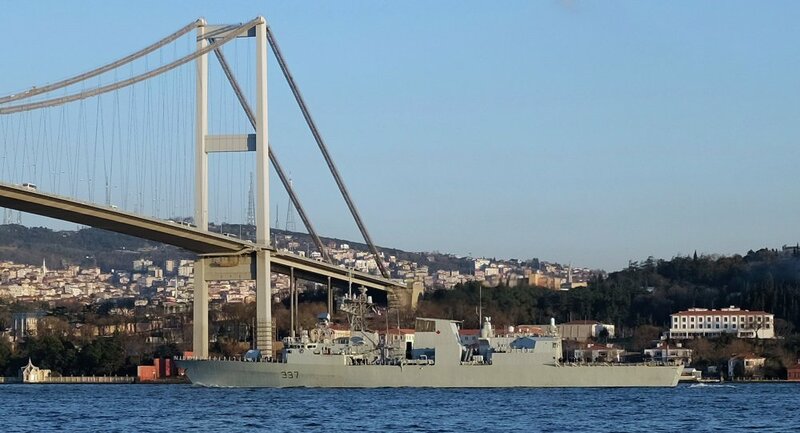 NATO ships assigned to Standing NATO Maritime Group Two (SNMG2) arrived in the Black Sea on March 4 to train with ships from the Bulgarian, Romanian and Turkish Navies. The joint exercise included simulated anti-air and anti-submarine warfare exercises, as well as simulated small boat attacks and basic ship handling maneuvers. “The training and exercises we conducted with our Allies in the Black Sea prepares us to undertake any mission NATO might require to meet its obligations for collective defense,” said US Rear Admiral Brad Williamson, who currently commands SNMG2. Taking part in the drill were the flagships USS Vicksburg (from the United States), HMCS Fredericton (from Canada), TCG Turgutreis (from Turkey), FGS Spessart (from Germany), ITS Aliseo (from Italy), and ROS Regina Maria (from Romania). SNMG2 will soon hold joint naval exercises also with Bulgaria and Romania.